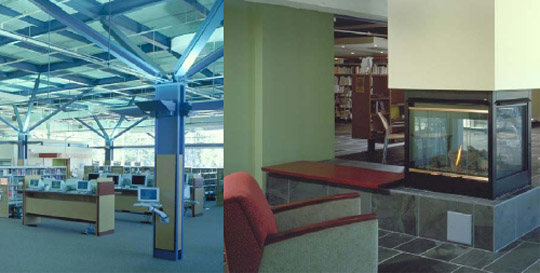 Design for this Halifax library was completed under a full service contract for design and construction including master plan, development of the building program through to furniture selection. 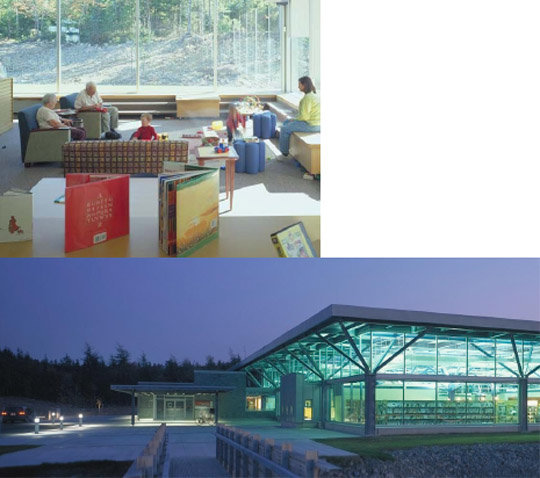 Complete design/construction of state-of-the-art public library and trail head in 200 acre municipal park. Design emphasis was placed on the selection of natural materials and creation of a healthy indoor environment. Local approaches to site development and current thinking in the delivery of library services were explored in the design of this single–storey stand alone structure. The project was constructed on time and on budget.